Hotel Louis C. Jacob – charming. laid back. hanseatic. For more than 225 years, the Hotel exists for exclusive enjoyment, personal charm and excellent service. In a unique location on the River Elbe, near the city of Hamburg and yet a relaxing distance away, the Louis C. Jacob combines tradition and modern hotel comfort. At Jacobs Restaurant chef de cuisine Thomas Martin and his team interpret original French haute cuisine in their own inimitable way. The main product is the star, with appetizing sauces to accompany it. The result is a dish bursting with taste. The city's premier spot for gourmets. 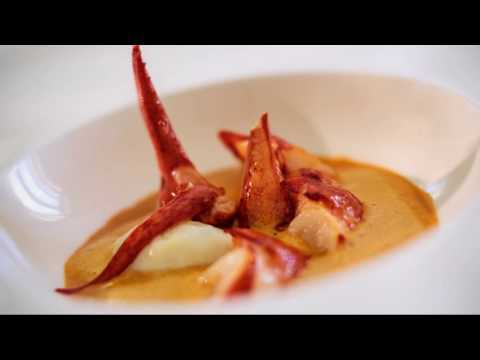 Michelin-starred chef Thomas Martin creates culinary works of art. The famous Lime Tree Terrace was created back in 1791 by Daniel Louis Jacques. Today it's considered one of Hamburg's most attractive locations and cafés. Come face to face with the queen of the seas. Whenever the Queen Mary 2 sails past the Lime Tree Terrace, the hotel traditionally celebrate this event with a Farewell Party.